The impressive ACE Spitfire collection combines fearless design with premium engineering at an unmatchable price. The impressive ACE Spitfire collection combines fearless design with premium engineering at an unmatchable price. The ingredients are all present; bold design, luxurious materials, and cutting edge Swiss made technology at the heart of it all. Explore more here. Designed alongside the Spitfire custom bike, the collection counts 6 different designs. Each model is crafted from the finest materials and features design elements of the Spitfire fighter and custom bike. The ACE201, draws directly from its namesake and displays its heritage up front. The dial proudly boasts the RAF logo and the chrono eyes have a horizon indicator design, modelled on the original Spitfire instrument panel. The other five designs are based on the original Spitfire cockpit. 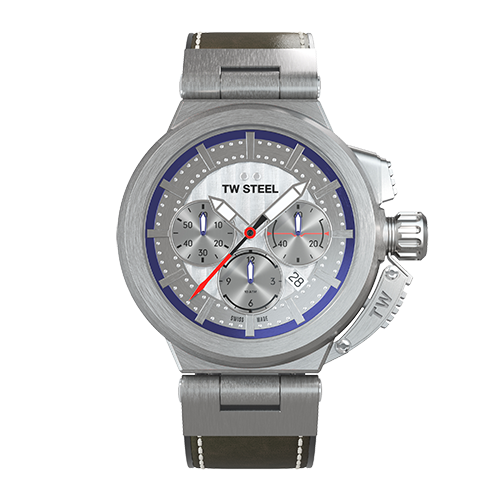 The specifications are top notch and rival the finest Swiss made timepieces. Powered by a Swiss chronograph automatic movement, the limited editions feature oversized 316L high grade, stainless steel cases with rough matte brushing, sapphire glass and a premium Italian leather on soft rubber strap. There are just 1,000 units of each design to purchase and they will be made available for a limited pre-order price at €999 or later at retail for €1899. Inspired by the iconic Spitfire airplane, the ACE201 is designed with BMW Motorrad alongside a custom Spitfire motorcycle. 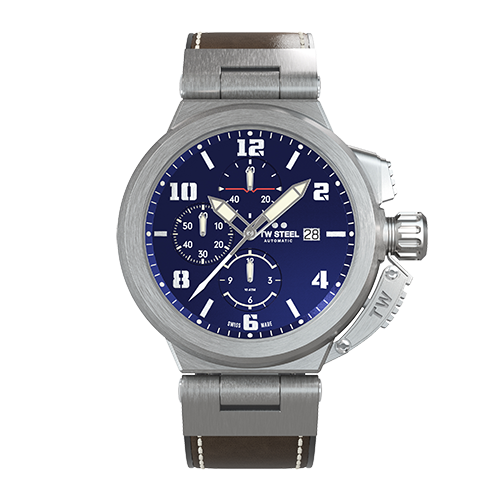 Powered by a Swiss automatic chronograph, it features a special Royal Air Force dial, anti-reflection sapphire crystal and five year worldwide warranty. Pure craftsmanship with attitude. 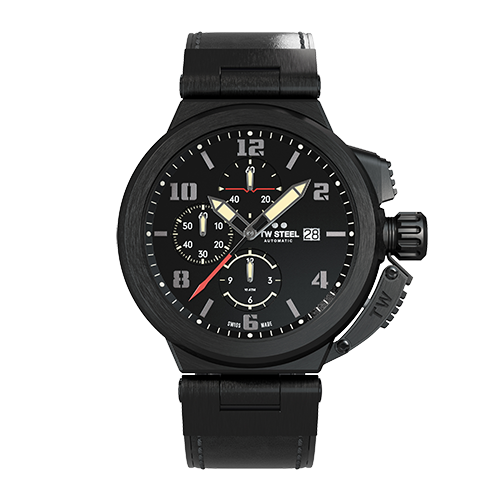 This Swiss made ACE202 is based on the cockpit of the iconic Spitfire airplane. Powered by a Swiss automatic chronograph, it features anti-reflection sapphire crystal, a brown Italian vintage leather on rubber strap and five year worldwide warranty. Pure craftsmanship with attitude. 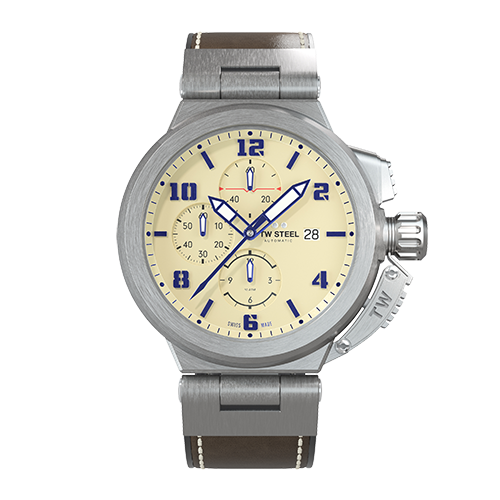 This Swiss made ACE203 is based on the cockpit of an iconic Spitfire airplane. Powered by a Swiss automatic chronograph, it features anti-reflection sapphire crystal, a brown Italian vintage leather on rubber strap and five year worldwide warranty. Pure craftsmanship with attitude. This Swiss made ACE204 is based on the cockpit of an iconic Spitfire airplane. Powered by a Swiss automatic chronograph, it features anti-reflection sapphire crystal, a black Italian vintage leather on rubber strap and five year worldwide warranty. Pure craftsmanship with attitude. This Swiss made ACE205 is based on the cockpit of an iconic Spitfire airplane. Powered by a Swiss automatic chronograph, it features anti-reflection sapphire crystal, a greenish brown Italian vintage leather on rubber strap and five year worldwide warranty. Pure craftsmanship with attitude. This Swiss made ACE206 is based on the cockpit of an iconic Spitfire airplane. Powered by a Swiss automatic chronograph, it features anti-reflection sapphire crystal, a black Italian vintage leather on rubber strap and five year worldwide warranty.